A 12% interest in the price of gold over the last six months, driven largely by fears related to a trade war between the US and China, has given gold equities a new lease on life, said Bloomberg News. By way of evidence, the $11bn VanEck Vectors Gold Miners ETF, saw a volume spike at its highest in two months with about 90 million shares worth over $2bn changing hands, the newswire reported. This was double the fund’s normal volume. The ETF tracks corporations primarily involved in mining gold and silver. “When the price of gold goes up by 11% in a very short period of time, a lot of that falls right to the bottom line and increase profitability and margin,” said John Ciampaglia, CEO of Sprott Asset Management. “That obviously translates to tremendous operation leverage for the gold mining companies,” he said. 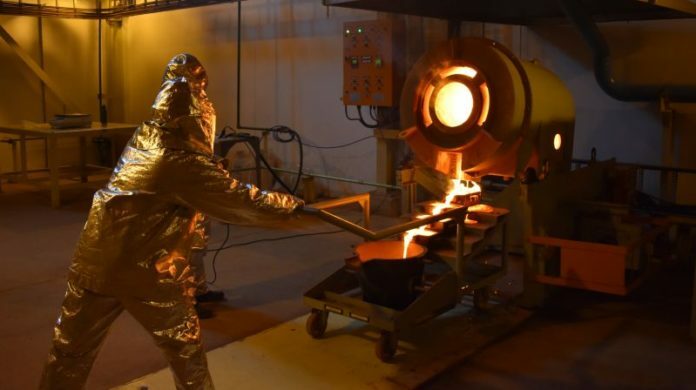 The gold equities market has also been stimulated by recent merger and acquisition activity after Barrick Gold merged with Randgold Resources on January 1, to be followed soon after by the merger of Newmont Mining with Goldcorp. “There’s probably some thinking that gold miners themselves are more levered than the actual commodity is,” said Tony Roth, chief investment officer at Wilmington Trust Investment Advisors in an interview with Bloomberg News. “It’s a good way to play the gold trade on a higher beta basis,” he said.